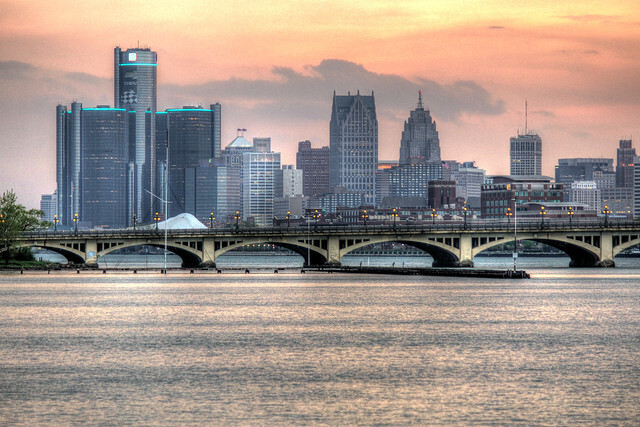 Detroit is the most popular and picturesque city of the country, situated on flatlands of the Michigan. Back in the day, the most powerful industrial and cultural center felt a shock in the end of 20th century. There were hard times! But, due to the automobile boom, Detroit could give its past meaning back, as surely as its fair name the “Motor City”. The city guests and tourists know that the main city advantages are connected with cars. So, what are the most impressive places in Detroit? RenCen, this is the usual name of Renaissance Center, is a set of formations, situated in the very Downtown of Detroit. The impressive construction consists of 7 sky-high buildings, connected with each other. The scores of shops, 4 cinemas, financial organizations, fitness-center, banks, Marriott Hotel and 4 lux restaurants are situated inside. The central tower, which is named Detroit Marriott at the Renaissance Center, is73floors high (221 meters). Actually, this is the chic hotel for more than1300 comfortable hotel suites. The restaurant is satiated on the high floors, offering the view overlooking the city. The tower is framed by the rest 4 sky-high towers that are similar to each other. The rest 2 towers are 103 meters high. The composition seems to be perfect! Renaissance Center is widely thought to be the main office of General Motors Company: more than 6000 employees work together on the high floors. The lower storeys are rebuilt to set out the cars for sale. There is also the most beautiful place for walking – river banks. You can start your learning Detroit right here. Thus, Renaissance Center is one of the most meaningful projects, taking the city tourism further a lot. 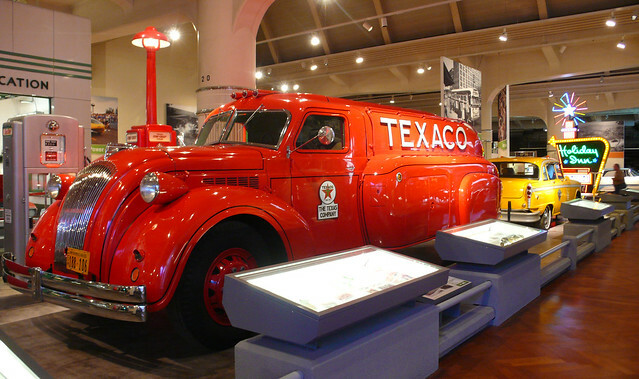 Henry Ford Museum is the next important city sight in Detroit. Actually, the museum complex is situated in Dearborn. The territory is really huge! Henry Ford started gathering his famous collection in 1906. Visiting this museum, you cannot pass by the dozens of unique cars models, trucks, engines, trains, bikes and bicycles. The most prominent museum exhibit item is Lincoln, where George Kennedy was killed. You can also meet a great many of the best-selling president cars in the museum. The next museum item that is also worth seeing is a huge locomotive, built in 1941. Its size is too big to handle it. This is the first train, where the conveyor feed was used. Americans are interested in Rosa Parks famous bus. This prominent woman was actively involved in the social struggle of Afro-Americans against the discrimination in the public transport. Simply saying, museum is a place, where you can spend the whole day round. The most of exhibition items are historically valuated or just as interesting as you cannot take your eyes off. Detroit Science Center is situated in Midtown – a district that is placed next to Downtown. There are many other interesting city sights here: Detroit Institute of Arts, Museum of History, and Museum of African Americ. Detroit Science Center is on the USA top ten scientific museums. The key point of the museum is IMAX DOME cinema. People all over the city come to see the popular-science films here. There is also a special theatre for demonstration of electric research works, and interactive multimedia theatre. Moreover, the museum always welcomes you to demonstrate different thematic exhibitions, galleries. Fox Theatre is considered to be a pearl of great worth in the crown of Detroit. It is situated in the very center of Downtown. The theatre was built in 1928. William Fox, the pioneer of the world cinema, has built the set of chic cinemas – Fox Theatres, for his famous company Fox Film Corporation. The biggest of them is Detroit cinema. Interestingly, Fox Theatre is the first cinema in the world that was built for demonstration “talking” films. From the very beginning, Fox Theatre was used just in the quality of cinema. The project had a great success! Since 1970 it was at its very worst. The year of 1988 is famous as the beginning of a new life for the cinema. The construction was carefully rebuilt and renewed. It is actively used now for concerts, shows, film demonstrations. If you could describe Fox Theatre with only one word, it would be the word “luxury”. Interior is rich, decorated with the elements of Persian, Chinese, Indian architecture. The walls are decorated with the metal casting; the chairs are velvet; the columns look like Asian Gods. The interior is more than exciting! The architecture is Howard Crane. The theatre contains more than 5000 seats. Fox Theatre is the best showplace in Detroit. Do not forget to take some pictures here! DIA was founded in 1885. It is situated in Midtown. Detroit Institution of Arts has the biggest and the most impressive collection of arts in the USA. At the present time, the museum contains more than 65 000 works, including the Ancient Egypt area and Modern Art. Museum Galleries offer to your attention a lot of art samples, sculpture, furniture, items of decorated and applied arts. Have you ever seen the works of Rubens, Rembrandt, Claude Monet, Henri Matisse, and Bellini? The collection is especially prominent of Van Gogh self-portrait and the set of 27 huge frescos of American artist Diego Rivera. The museum building is the historical heritage of its own. The structure is well-organized: there are many cafes, services and comforts to a high standard. The price for adults is 8 dollars – this is really cheap! Monday and Tuesday are days off. So, Detroit… This is a city of rich culture and history. There are many worth-visiting places here. To make your trip more comfortable you have to choose the right transport. You can always use buses or taxi. It can be too limitedly to have a nice trip. Best of all, it is better to hire a car: rental car services are the most comfortable way to see all interesting sights and travel the city, saving the date. Author Bio: Lily Berns is a travel writer, she enjoys sharing her travel writing and photography with various blogs online Now she’s trying to find special places for pleasant vacation in USA.